Bike House Call can handle any size job, build, event or fleet. We currently maintain the largest fleet of EMS bikes in the state (and perhaps the country), ridden by paramedics for the Chicago Marathon, Shamrock Shuffle, and many more large events. 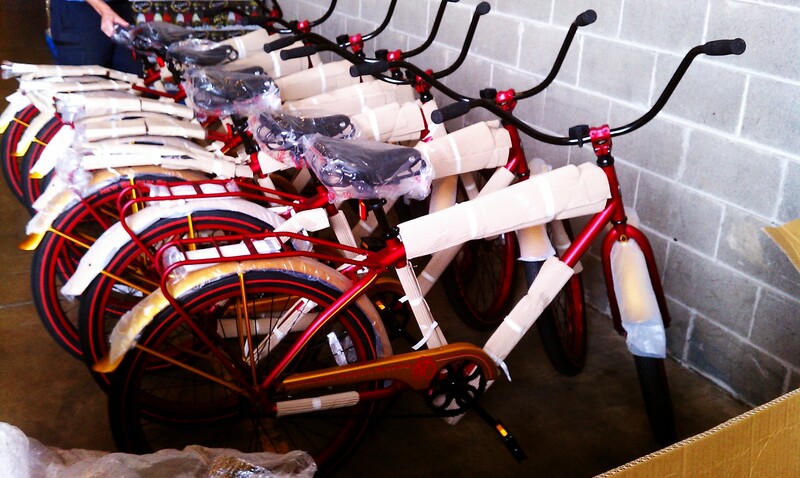 We also maintain bicycle fleets for multiple Police Departments. Corporate health fairs, Boy Scouts, Church groups and others have all enjoyed the outstanding service we provide to get their members bikes repaired at a great price. Have a race, fundraiser, or group ride? Bike House Call can provide ride day support for your event. For 3 years Bike House Call has also donated our time and skills to support the Special Olympics Pumpkin Pedal fundraiser in St. Charles. Bike clubs and Scout Troops love to learn basic bike maintenece, and we love to teach! It could be said that we are teaching ourselves out of the job, but we believe in bikes and want everyone to be able to ride. Contact us to talk about your specific needs. Denver - We serve mainly within the 470 corridor as well as about 5 miles to the West, south, and North. Outside the area we are still available however a small travel charge may apply. We accept cash, check or credit. Why pay more at the store? Copyright © 2017 BikeHouseCall.com All Rights Reserved.